SoSBB is excited to be performing jointly in concert with St John’s CE Primary School. 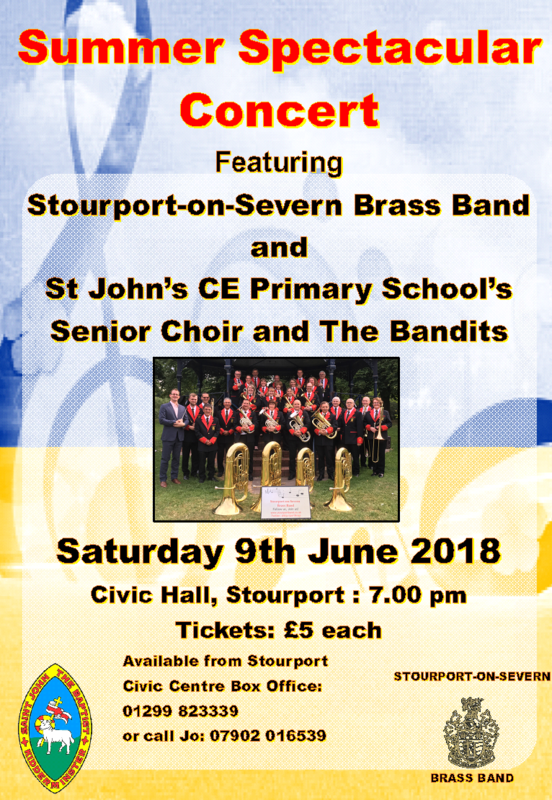 The concert takes place at the Civic Hall, Stourport at 7.00 pm on Saturday 9th June and will feature the school’s senior choir and its musicians, The Bandits. The concert promises to be a great evening of music with something for everyone. 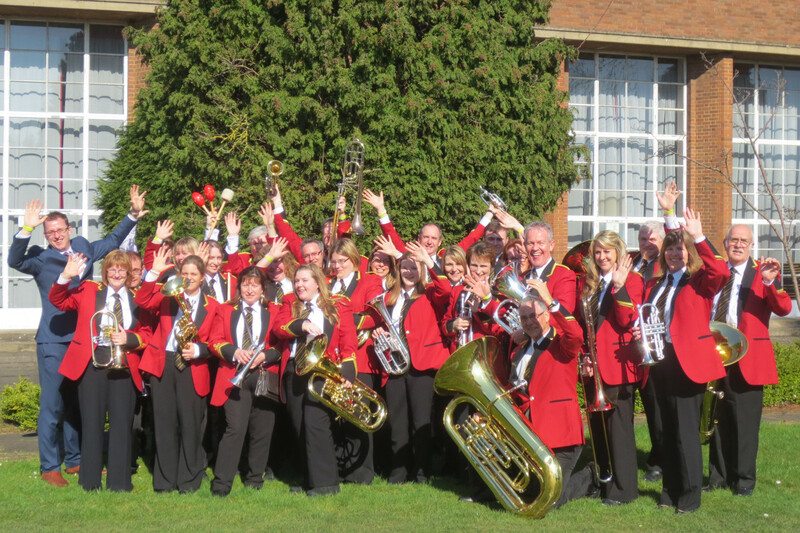 Musical Director Oli Wilson comments: “Encouraging music amongst the younger members of our community is fantastic and this is a great opportunity for both the Stourport band and students. Hopefully, this concert will be the first of many.” Tickets, £5 each, are available from the Civic Hall, Stourport on 01299 823339. We look forward to seeing you there.